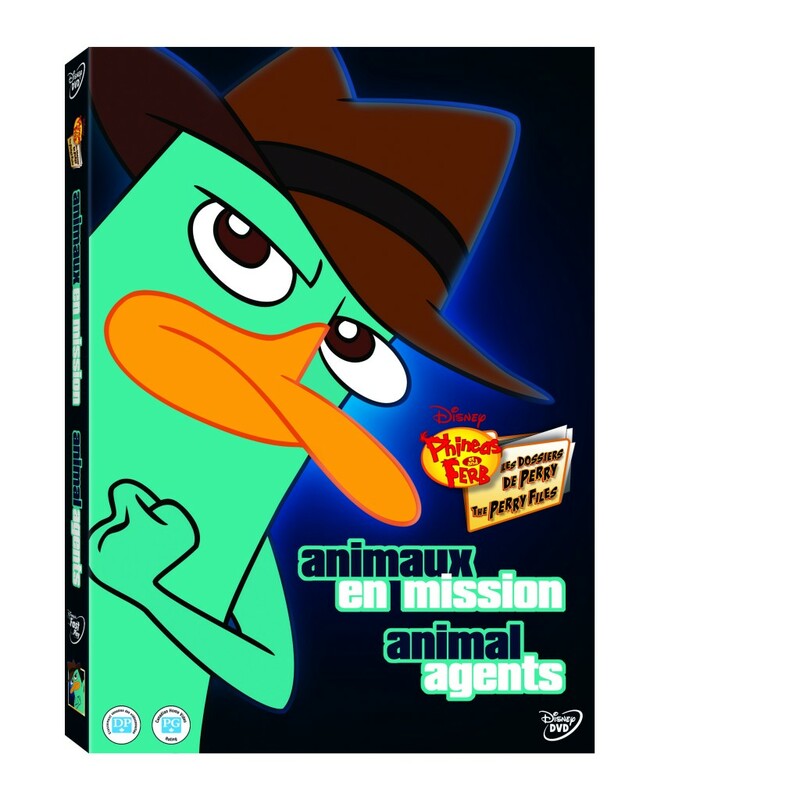 And a Phineas and Ferb and Animal Agents DVD. Yes indeed folks, it’s about time the spotlight is on the animal agents of Phineas & Ferb! We absolutely love all the characters that make up this amazing Disney show, Phineas and Ferb and we really do watch it almost every day. I happen to love Phineas and his manners and Candace’s humor, even though she doesn’t try to be funny! But, it’s refreshing to see the limelight on the animals. Disney wants to know well do you really know your pet…or ANY animal? Behind a cute and/or cuddly exterior there may lurk a cunning crime-fighter with a brown fedora, a top-secret identity and a license to thrill! Meet the heroic Animal Agents of the O.W.C.A. which stands for Organization Without A Cool Acronym. Be they furry or feathered, scaly or slimy, these fearless agents roll over for nobody when it comes to crushing evil in the Tri-State Area and beyond. Fully loaded with over two hours of animal-themed adventures, including the exciting, two-part Phineas And Ferb cliffhanger “Where’s Perry?”, this fun-filled, action-packed laughfest will drive you wild! I can’t wait to see this myself, I love Phineas and Ferb but, I have a soft spot for Perry! My girls love all the adventures that Perry gets into and all the failed attempts of Dr. Doofenshmirtz to take over the Tri-State area. You almost have to feel bad for the guy! One lucky Whispered Inspirations reader can WIN a copy of this DVD, this is open to Canada only (except Quebec) and closes on March 08th, 2013.
Who is your favorite Phineas and Ferb character? Everyone loves Perry, but my daughter also has a soft spot for Isabella! Perry is my son's favorite character.